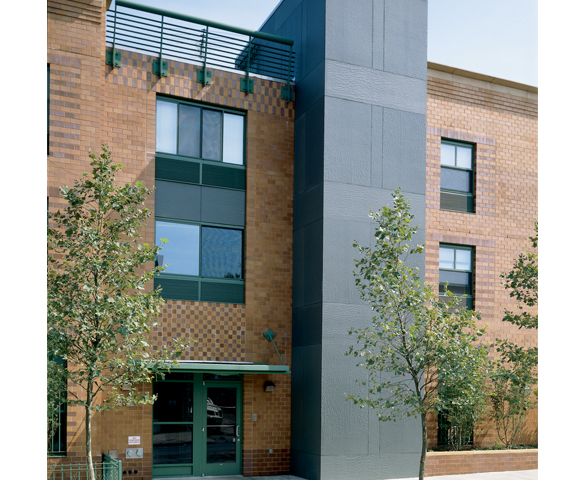 This new construction houses about 50 individuals who reside in single residence apartments. The residence also has lounges on each floor, common kitchen and dining areas, laundry rooms and social services offices. In addition to security, 24-hour staff is present.